WeWork says its mission is to help people do what they love. Now the office-sharing giant is testing that ethos on a smaller clientele: kindergartners. 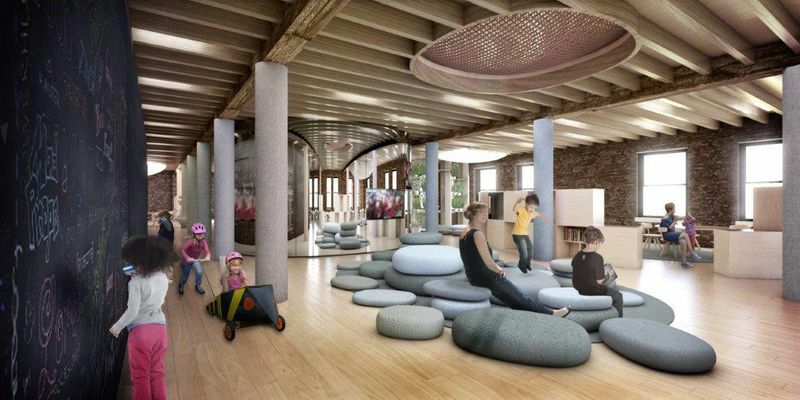 The $20 billion startup, built on a vast network of hip co-working spaces where entrepreneurs and freelancers rent desks, is making its move into children’s education, launching a private elementary school for “conscious entrepreneurship” inside a New York City WeWork next fall. A pilot program of seven students, including one of the five young children of WeWork Cos. founders Adam and Rebekah Neumann, is under way. “In my book, there’s no reason why children in elementary schools can’t be launching their own businesses,” Rebekah Neumann said in an interview. She thinks kids should develop their passions and act on them early, instead of waiting to grow up to be “disruptive,” as the entrepreneurial set puts it. The students—this pilot crop is five to eight years old—spend one day at a 60-acre farm and the rest of the week in a classroom near the company’s Manhattan headquarters, where they get lessons in business from both employees and entrepreneur-customers of WeWork. Neumann, who attended the elite New York City prep school Horace Mann and Cornell University, studying Buddhism and business, said she’s “rethinking the whole idea of what an education means” but is “non-compromising” on academic standards. The students will have to meet or exceed all of the state’s benchmarks for subjects such as math and reading. WeWork’s education ambitions are the latest offshoot of the rapidly growing company’s “We” brand, which promotes a seamless integration of meaningful work and a purpose-driven existence—make a life, not just a living, the motto goes. 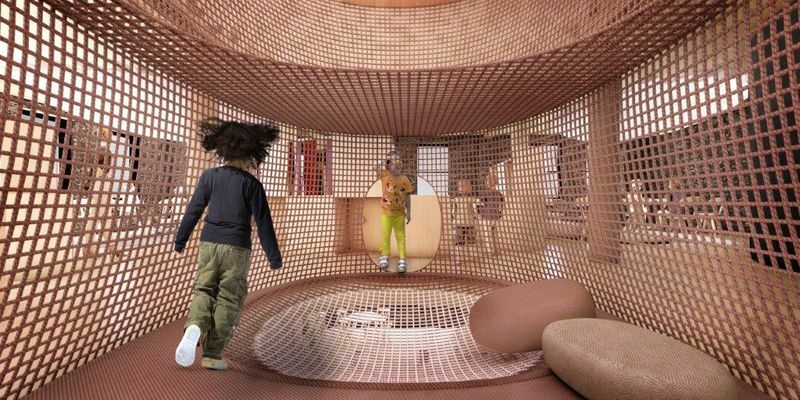 Last year, the company unveiled “co-living” residences under WeLive, furnished apartments in buildings with shared amenities, planned events and communal spaces (here’s what that’s like). Last month came Rise by We—a facility that features gym equipment, co-ed saunas and yoga classes that connect “wellness” and spirituality with entrepreneurism—and a coding boot camp. It is a brand, atop a real estate leasing company, that some critics say is overvalued. With their foray into schooling, the Neumanns join a growing list of entrepreneurial billionaires trying to reshape American education with their influence and investments. Facebook’s Mark Zuckerberg, along with other tech entrepreneurs, for example, are investing in public, charter and private schools that use technology to foster personalized education. While there’s broad agreement that the nation’s education system has its failings, the solutions are especially fraught because the beneficiaries, or guinea pigs, are children. 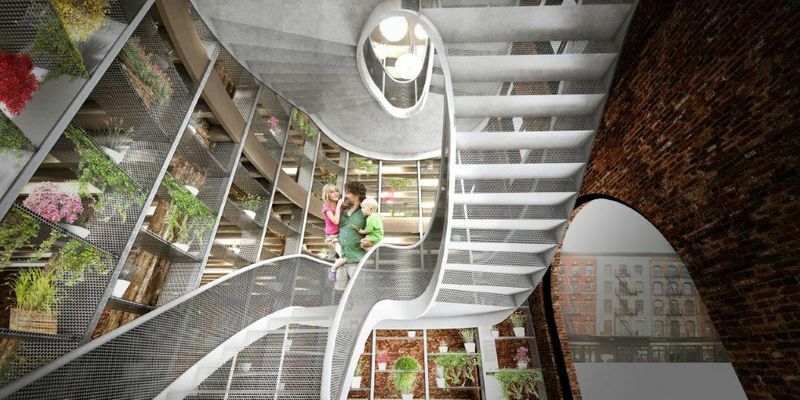 Here and below, renderings of the planned school by the architectural firm Bjarke Ingels Group (BIG). The kids have already gotten lessons from the Neumanns’ employees in creating a brand and using effective sales techniques, and from Adam Neumann on supply and demand. Mentorships with WeWork customer-entrepreneurs are available. “Basically, anything they might want to learn, we have people in the field that can teach it,” Rebekah Neumann said. When one of their students, an eight-year-old girl named Nia, made T-shirts to sell at the farm stand the kids run, “we noticed she has a strong aptitude and passion for design,” Neumann said. She is securing an apprenticeship with fashion designers who rent space from WeWork. The hands-on, project-based learning, encouraging children to ask questions and take ownership of their education, sounds like what “progressive pedagogy has been teaching for 100 years,” said Samuel Abrams, the director of the National Center for the Study of Privatization in Education, at Columbia University’s Teachers College. The Neumanns, who founded WeWork in 2010 with the chief creative officer, Miguel McKelvey, started out renting sleek office space to nomadic workers and entrepreneurs. There’s beer on tap, micro-roasted coffee, and aphorisms on the walls about working hard. But Adam, WeWork’s CEO, has said he wants the company to be the architect of entire neighborhoods. A former officer in the Israeli Navy who as a child lived for a time on a kibbutz (McKelvey grew up in a commune), the 38-year-old is after a kind of entrepreneurial utopia, or a “capitalist kibbutz,” in his words. He has even branded his customers—now about 150,000 of them in 52 cities around the globe—the WeGeneration, a collaborative group that “cares about the world, actually wants to do cool things, and loves working,” as he told Fast Company last year. Rebekah, a co-founder and the company’s chief brand officer, launched the pilot in September with guidance from a family friend, Lois Weisswasser, a former principal of P.S. 41, one of the city’s top public schools. For now, she has just two full-time teachers, one from the high-performing P.S. 234 and one from P.S. 77, a gifted-and-talented school. The first WeWork school probably will be built inside the headquarters and be accessible through a separate entrance. WeWork has enlisted the innovative Danish architecture firm of Bjarke Ingels, which has designed a building at the World Trade Center campus and a flood prevention plan for New York City. It isn’t clear yet how all this will be funded, though the funds may come directly from the Neumanns. The company is still working on tuition and hopes to make the school “accessible” to a broad swath of parents through a sliding scale based on income, a spokesman said. Private school tuition in New York City can soar past $30,000 a year. WeWork hasn’t decided whether the school should be a nonprofit, either. And if entrepreneurial parents need to travel for several months? Take the whole family along, Neumann said, looking ahead to her international vision. There, as in New York, the kids will be just a staircase away.